Brussels, Belgium (May 31, 2017) – UNIC, the trade grouping representing key European cinema operators and trade bodies, has today announced that Laura Houlgatte Abbott has been appointed as its new Chief Executive. “I first of all want to pay tribute to the work of current CEO Jan Runge over the last six years. The increased influence and profile of UNIC across Europe, as evidenced by the quality of those who applied for this role, speaks volumes for his achievements during his time leading the organisation. ““I’m thrilled that UNIC’s Board has given me this wonderful opportunity to promote the cultural, social and economic strengths of the thriving cinema sector. 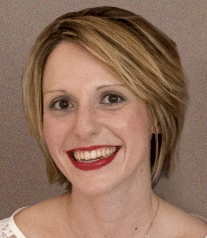 Abbott Laura joined UNIC in March 2015 as EU Affairs Executive. A graduate of Sciences Po (the Institute of Political Sciences, Strasbourg), she lived in Ireland before moving to Brussels in 2011. She then worked for the British Council and the Federation of European Publishers. Laura is fluent in French, English and Spanish.